The University offers scholarships for excellent applicants The recipients will have their tuition fees covered, up to a maximum of 3 years for a PhD, 2 -3 years for a Master degree and 4-5 years for a Bachelor degree. The recipients` academic performance will be assessed each year and only those achieving the required standard will have their scholarship renewed for the following year. Educational background and age limits: Applicants for undergraduate studies must hold a high school diploma and not be older than 25. Applicants for master`s studies must hold a bachelor`s degree and not be older than 40. Applicants for doctoral studies must hold a master`s degree and not be older than 45. Applicants are eligible for scholarship application only after they are admitted to the undergraduate, master`s and doctoral programmes in the university. Applicants can download Application Form for XMU Scholarship (click here to download) and send it together with other application materials to the Admissions Office before the deadline. A panel of experts will be responsible for the scholarship candidates` selection. Exceptional applicants will be selected as awardees according to their application materials, supervisor`s opinions and so on. The final list of awardees will be released on our website before the end of June, so please pay attention to the update of our website. Email: [email protected] Visit Official Website. 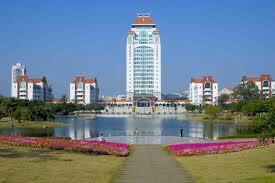 Demikianlah informasi mengenai 25 Scholarships (BS/MS/PhD) at Xiamen University semoga berguna bagi anda.